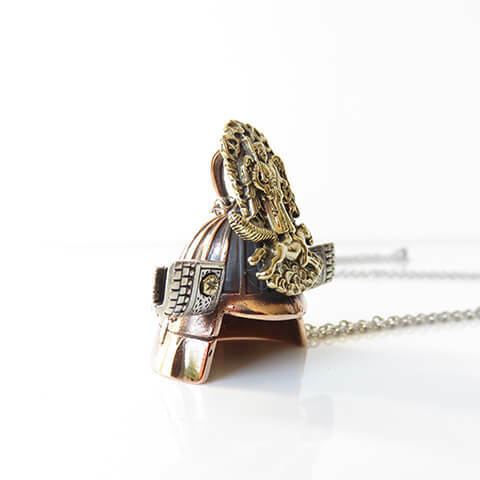 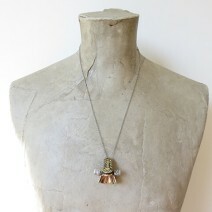 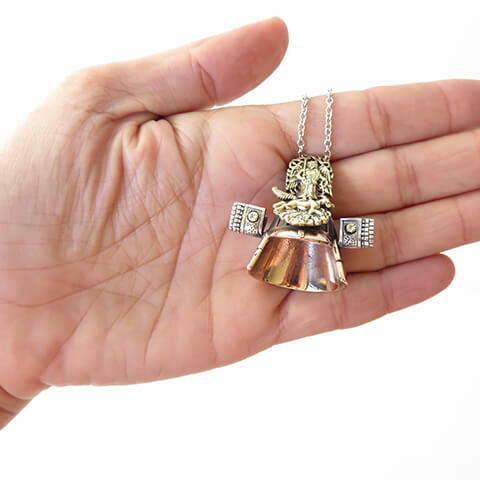 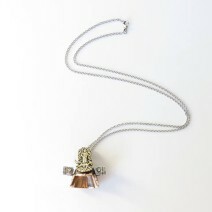 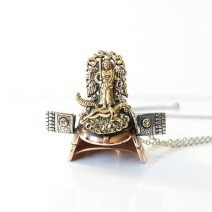 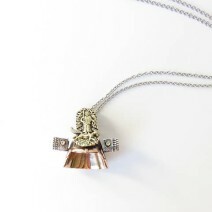 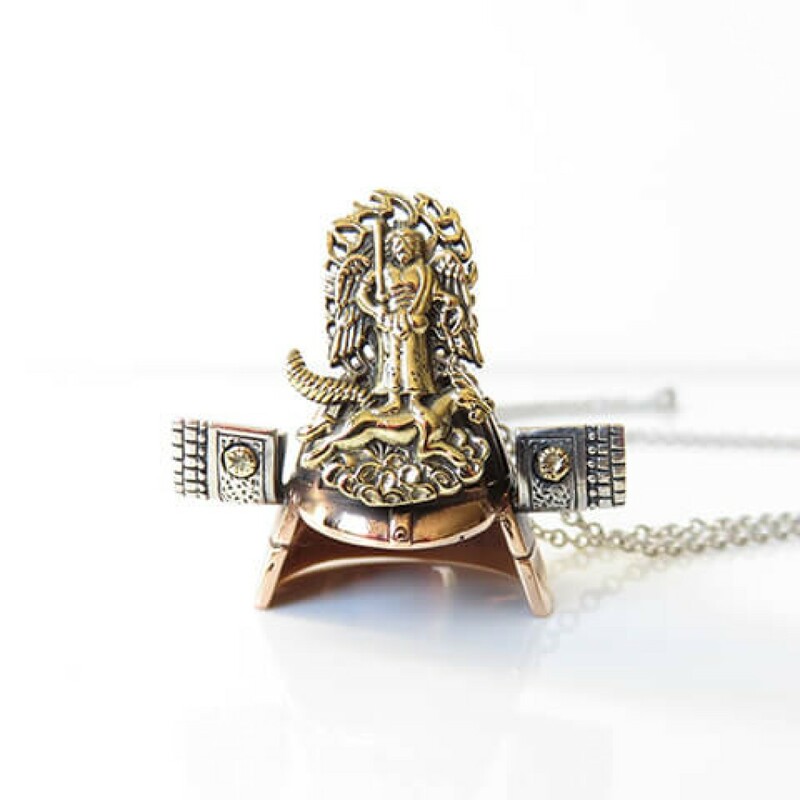 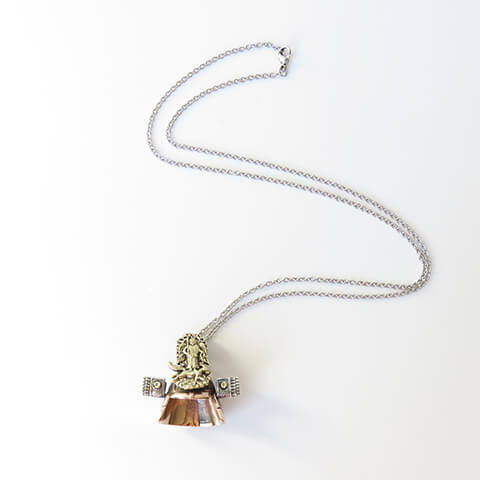 A Japanese Samurai helmet necklace with golden front crest made of copper with a brass angel. This Kabuto warrior armor helmet, hangs from a long loop stainless steel chain. A very durable piece of Japanese cultural jewellery, that will last a lifetime.